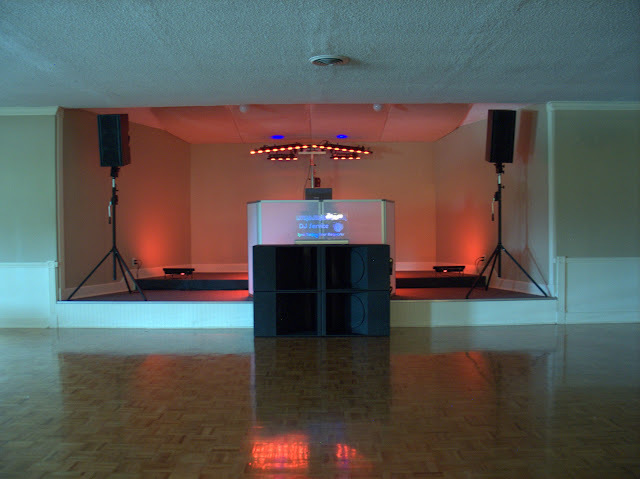 My basic DJ system, what I use at many weddings that want a small footprint type system. ^^^ Pretty neat especially considering you have no table skirt but WOw dude... you have 3 different speakers in a 3 speaker setup. Fernando, thanks for sharing with us. Great looking and I'm certain a great sounding set-up. I assume these RCF boxes are all self-powered. One thing that I believe the industry should clarify and classify; what 'type' of DJ are you? This is not a poke in the eye to anyone, so don't take it that way, everyone has a place and a niche. 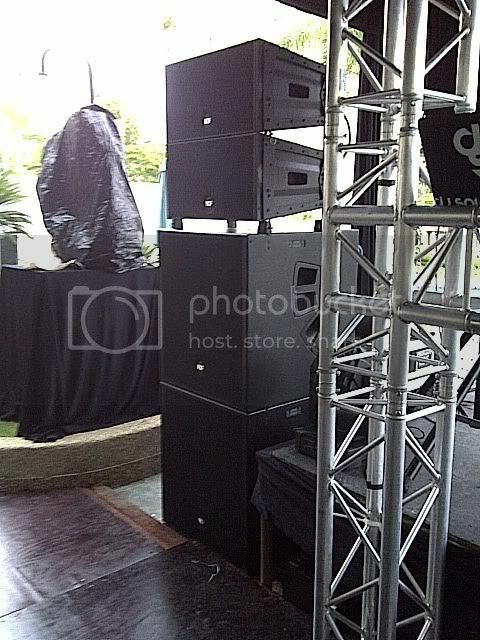 Wedding/Formal party DJ that acts as a MC as well as a DJ (plays and talks). Party DJ that may or may not act as an MC (just plays). A mixer who creates music by either playing instruments or media (sound bites) or remixing existing songs. An artist per se. A mobile club DJ could be it's own classification. This DJ plays music, is not an MC, does not wear a tux and has a large sound system and lighting system. 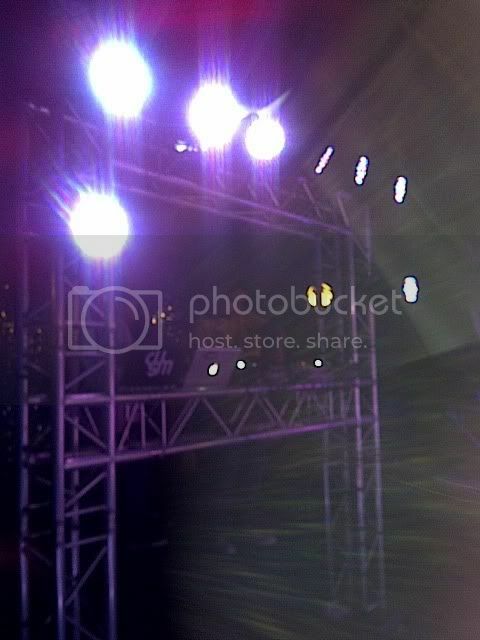 Usually takes a few people to pull this one off because of the complexity of the system(s) (music and lights). I, for one, play what the audience wants, as close to ALL request as possible. There are no lights on me, only on the dance area/floor. My only concern is that the party goes down the way the client wants. Thoughts on these classifications? Food for thought. PS. I would never do a formal event or a wedding reception, not my thing; and allot of DJs wouldn't do a college party or mobile club environment (Rave). Fernando, do you use both the S25 and S21's in your RCF setup? If so, do they play well together? Yes Reggie they do. The biggest I have set up so far is 4 21s coupled and 2 25s under 4 23s for about 1000 and we had volume to spare. 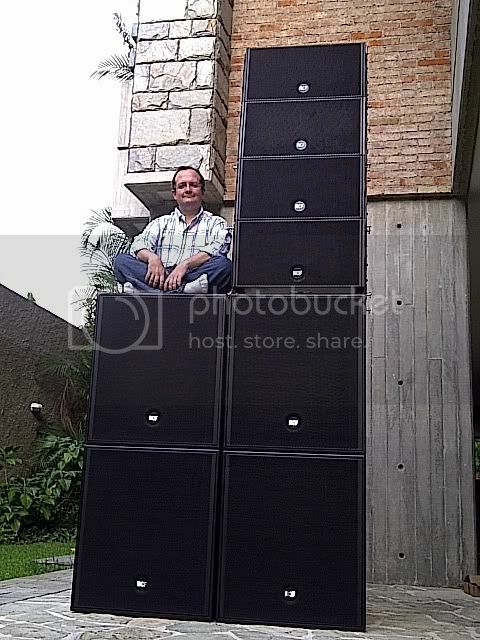 I usually setup the 2 21s on the fllor, the 25s on top of the 21s and the bass is great for my application which is usually loud parties up to 400 kids.